Conrad Paul Meir, age 72, passed away on Thursday, January 4, 2018 at his home in West Branch, MI. He was born on December 21, 1945 in Flint, MI to Roy and Margaret (Plasha) Meir. Conrad proudly served his country as a veteran in the military police with the Michigan National Guard, and retired from General Motors. He was raised and retired in West Branch. Connie, as he was known to all, had a zest for life and enjoyed fine cars, snowmobiles, boating, and Conway Twitty. He was known for his culinary skills and &#8220;have grill, will travel.&#8221; He was the captain of the ship for the Meir family, bringing all together for the yearly family reunion at the Meir farm that people traveled across the country to attend. Connie was the lone brother among six strong willed sisters, Barbara (John) Morlock of Collinsville, IL, Margaret (Ruben) Arceo of Flint, MI, Lois (Don) DeLong of Placentia, CA, Julie Meir of West Branch, MI, Mary Jane (John) Schnautz of Rose City, MI and Rose Meir of Tulsa, OK. Family extended from nieces and nephews to the most distant cousins, and friends were counted as family. He is preceded in death by his parents, Roy and Margaret &#8220;Ann&#8221; Meir. Connie was always there to help and celebrate life. We know that it will be hard to fill his shoes. He made a difference in our lives and touched us all. We love you, Connie. Visitation at Steuernol & McLaren Funeral Home in West Branch will begin on Wednesday, January 10, 2018 from 1:00 p.m. to 8:00 p.m. with a Scripture Service at 7:00 p.m. The Funeral Mass will be at Holy Family Catholic Church on Thursday, January 11, 2018 at 11:00 a.m. with visitation beginning at 10:00 a.m. Father Patrick Maher will officiate. Burial will be at Holy Family Cemetery. Donald John Lehman, age 72, passed away on Tuesday, August 1, 2017 at West Branch Regional Medical Center. Don was born in West Branch, MI to George and Lauretta (Smith) Lehman on July 24, 1945. He graduated from West Branch High School and lived in West Branch all of his life. Don was a member of St. Joseph Catholic Church and served as an usher for many years. He was a longtime member of the Knights of Columbus Council #2022 where he was proud to be a Fourth Degree Knight and a member of the Honor Guard. 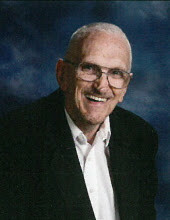 Don worked at Tolfree Memorial Hospital and retired from West Branch Regional Medical Center. He loved the community and volunteered his time to numerous organizations and activities for many years. He enjoyed sports, loyally attended Ogemaw Heights High School and Little League games, and was a big fan of the Tigers, Lions and Pistons. Don is survived by his sisters, Lois Jandernoa of Grand Rapids, MI and Carol Zakaras of Homewood, IL; his brother, Wayne (Sue) Lehman of West Branch; and several nephews and nieces. He is preceded in death by his father, George in 1997; his mother, Lauretta in 2005; his sister, Sister Joan Lehman, O.P. in 2003; and brothers in law, Ronald Zakaras in 2008 and Don Jandernoa in 2016. Visitation at Steuernol & McLaren Funeral Home in West Branch will begin on Friday, August 4, 2017 from 4:00 p.m. to 8:00 p.m. with a K of C Rosary at 7:00 p.m. The Funeral Mass will be held on Saturday, August 5, 2017 at St. Joseph Catholic Church at 11:00 a.m. with visitation starting at 10:00 a.m. Father Patrick Maher will officiate. Memorial Contributions can be made to the Knights of Columbus Council #2022 or St. Joseph School Endowment Fund. Angela Marie Saladine Hamilton, age 69, passed away on Sunday, June 26, 2016 in St. Helen, MI. She had lived in St. Helen for the past 46 years, formerly of Pontiac and Alger. Angie was born in Alger, MI on September 13, 1946 to Fredelien and Lila (Tolfree) Saladine. She married Jerry Hamilton on February 6, 1965 in Alger. Angie is survived by her loving husband, Jerry Hamilton of St. Helen, MI; children, Misty (Bill) Schalk of Bay City, MI, Ann (Mike Turner) McDole of Saginaw, MI and Jerry “Chip” Hamilton Jr. of Alger, MI; grandchildren, Heather Schalk of Midland, MI and Sarah Schalk of Burton, MI; brother, Fred Saladine of Auburn, MI; and sisters, Juanita (Elmer) Smith of Saginaw, MI, Therese Leverenz of West Branch, MI, and Doris (Steve) Ritchie of Gladwin, MI; and many nieces and nephews. She is preceded in death by her parents, sisters, Charlotte Hoeppener and Mary Tiltman; brothers, LeRoy “Sam” Saladine and Clifford Saladine; and uncle, John Saladine. Our loving husband, father, grandfather and brother passed away peacefully Friday, December 23, 2016 in Bay City, Michigan. Age 70 years. The son of the late Edward J. and Genevieve M. (Winter) Reminder was born December 29, 1945 in West Branch, Michigan. He proudly served his country in the United States Army. 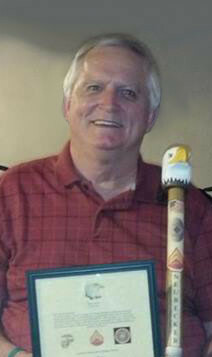 Terry retired from United Parcel Services at a driver in Missouri City, Texas. He was an avid sports fan, enjoyed NASCAR, bowling and a good game of horse shoes. On September 11, 1965 he married his wife of 51 years, the former Nancy Wachowski in St. Joseph Catholic Church in West Branch and she is left to cherish his memories along with one son and daughter-in-law; Troy and Michelle Reminder, one daughter and son-in-law; Tracy and Marc Merritt of Texas, three granddaughters; Tiffany Taylor, Morgan Taylor and Rachel Reminder, one great granddaughter; Ava, two brothers; Richard Reminder and Robert (Judy) Reminder, brother-in-law; Carl Meiser and many other brothers-in-law, sisters-in-law nieces, nephews, cousins and friends. Besides his parents he was preceded in death by three sisters; Donna (Lloyd) Charles, Doris (Fred) Charboneau and Patricia Meiser and one brother; Delbert Reminder. Patrick Raymond Neubecker, 70, passed away Monday, July 18, 2016, at his home in West Branch with his family by his side. He lived in West Branch for most of his life, briefly for four years in Holly. He graduated with the class of 1964 from West Branch High School. Pat was born to Raymond and Frances (Hacht) Neubecker on Feb. 19, 1946, in West Branch. On April 27, 1968, Pat married Jean L. Priddy in West Branch. He served in the U.S. Marines during the Vietnam War. Pat was a member of the American Legion, Disabled American Veterans and St. Joseph Catholic Church in West Branch. He worked as a construction worker and building trades instructor. Pat loved fishing, hunting and working on crafts. He enjoyed watching the Detroit Tigers, Red Wings hockey and professional and college football. Pat adored and loved spending time with his family, especially his grandchildren. Pat is survived by his loving wife of 48 years, Jean Neubecker of West Branch; children, Chris Neubecker of West Branch and Jennifer (Matthew) Miller of Merrill; grandchildren, Jett Miller and Matlyn Miller; sisters, Helen (Leonard) Bragg, Wanda Neubecker and Bernice (George) Drensky; brother, Charles (Chris) Neubecker; sisters-in-law, Carol (David) Curtis, Marjorie (Ronald) Cripps and Linda (Phil) Fultz; and many special nieces and nephews. He was preceded in death by his parents, Raymond and Frances; sister, Joyce Fultz; and son, Jason Neubecker. 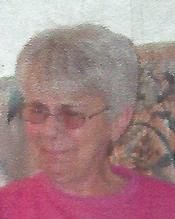 Charlene Faye Lusk of Davison age 67 died Saturday December 3, 2011 at her residence. Charlene was born in Mt.Clemens, Michigan the daughter of the late; Paul and Alice (Preuhs) Noel and has resided in the Davison area since the 1980's. She was joined in marriage to Richard Lusk Jr. on February 3, 1973 in Lennon, Michigan. Charlene was a graduate of West Branch High School and a member of Davison Eagles Aux. #3589. She leaves to cherish her memory husband, Richard. Daughter, Catherine and husband Ed Albin, son Troy McKenney, and grandchildren, Nicole and Brad. Brothers; Paul & wife Linda Noel, Michael & wife Loree Noel, Bernard & wife Karen Noel, Dennis & wife Terri Noel,Sister Margaret Hanes, and a host of other relatives.